Stubborn Symptoms Can Fade with the Right Oils! So you found out you have hypothyroidism. Knowing is a great first step, but unfortunately many treatment methods will miss the mark in addressing your daily symptoms and the root cause of your hypothyroidism. Roll up your sleeves and prepare to get oily because you are about to take a deep dive into the natural ways to treat hypothyroidism, and how a simple toolbox of essential oils for thyroid can really shift things for you! The reason the symptoms are so numerous is that most cells in your body have a receptor for thyroid hormone. That thyroid hormone stimulates energy production within that cell so it can do its function. So if there isn’t enough thyroid hormone arriving to the various cells and systems of your body, all sorts of symptoms can arise. Are You Doing the Right Things for Your Thyroid? If you are using a conventional approach to dealing with your hypothyroidism, you are likely using a combination of prescription medication and over-the-counter remedies. If you are using natural remedies for thyroid, that’s great, but you still may not be getting to the root cause of your hypothyroidism. If you are trying to treat hypothyroidism and still not feeling better, it’s very frustrating! Luckily there are essential oil benefits that can really help for hypothyroidism. Before we get into the oils, I want to briefly detail the causes of hypothyroidism. There are various reasons you can fall into hypothyroidism. If you’d like to learn more on how the thyroid gland works and what can go wrong, please read our article, How to Know if You Have a Thyroid Problem. The autoimmune disease Hashimoto’s Thyroiditis (this is the #1 cause). A neurological issue in which the thyroid is not getting a signal to make sufficient hormone. A conversion issue, in which the health of the the body’s cells, liver or gut is not supporting sufficient conversion to active thyroid hormone. Inflammation at the cellular level, which blocks thyroid hormone from entering the cell. If you don’t address these underlying causes, you may never feel better. Essential oils, when sourced properly and used knowledgeably, are safe, affordable and effective tools for your natural medicine cabinet. Digestive issues are almost always present in hypothyroid cases. It requires some advanced testing to sort out if you have parasites, candida, H Pylori, etc, but we can say for sure that everyone in this busy society could use a digestive boost. And we also know that if you have a low-functioning thyroid, you produce less stomach acid. Back in the day I studied Chinese Medicine, and I actually practiced acupuncture for 13 years. In Chinese Medicine, we have the concept of ‘five tastes,’ and two tastes that stimulate digestion are sweet and bitter. Bitter tastes stimulate stomach acid production, digestive enzyme production, and bile flow. Sweet taste (and I’m not talking mini-donuts here) ‘warms the stomach’ and food is digested and assimilated better. 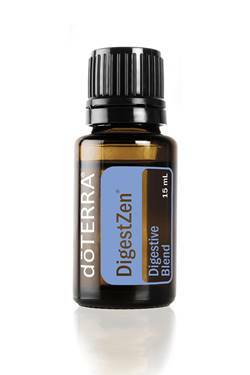 An all-in-one oil for digestion is Digestzen by doTERRA. It contains anise seed, peppermint, ginger, caraway seed, coriander seed, tarragon, and fennel seed essential oils. This oil is one I recommend to all my thyroid clients. Chronic stress taxes your adrenal glands, gut lining and more. So it’s ‘essential’ to address it! There are a couple popular blends for relaxation and sleep by doTERRA. Balance is a favorite of many women to bring on the calm. It contains spruce leaf, ho wood leaf, frankincense resin, blue tansy flower, blue chamomile flower, and osmanthus flower essential oils in a base of fractionated coconut oil. Serenity is the personal favorite around our home. We diffuse it for sleep, and I’ll inhale it deeply when I’m anxious. This sign of hypothyroidism is very distressing for women! The good news is that essential oils can play a huge role both in short-term improvement of hair appearance and in long-term regrowth. Lavender can be used each time you wash your hair. This study on lavender essential oil for hair and maybe others demonstrate certain essential oils to be as effective as Rogaine over a 6-month period. (3) Add a few drops to your palm, inhale three times, and then mix with your shampoo. Rosemary essential oil is my favorite to use as I apply conditioner. It not only promotes hair growth but it also has a smoothing quality. So shake 3 drops into your palm, inhale deeply, and then mix with your conditioner. 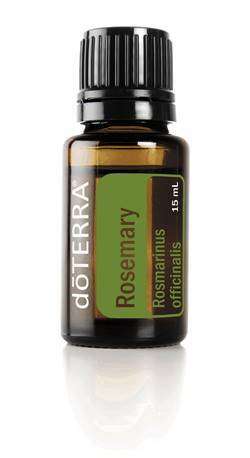 Rosemary has antioxidant properties that support your thyroid as well. When you’re dealing with hypothyroidism, your brain is not firing as fully as you would like. You can’t find your keys, you can’t recall a word you know, and maybe you just aren’t learning as quickly. Luckily there are some ‘tricks’ to help with brain fog. Peppermint is an oil that invigorates, stimulates and creates circulation. Rub a little onto your temples and scalp to wake up your brain. Orange is an uplifting oil that, when diffused in a room, helps you stay alert, energized and focused. 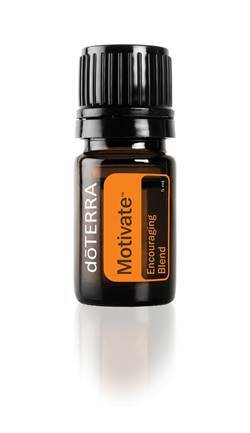 Motivate is a blend by doTERRA that contains both peppermint and citrus, plus basil and other oils. I love this one and, if you use it daily, you may find your memory is sharper. Oils that have circulating and warming properties can support weight loss. Some oils help move lymph, some curb cravings and others promote good digestion and blood sugar balance. The best of the bunch are combined into a blend called Slim and Sassy by doTERRA. It contains grapefruit, lemon, peppermint, ginger, and cinnamon, and it’s delightful. You can put a dab on your tongue before or after meals for cravings or spread it on your belly with a carrier oil. 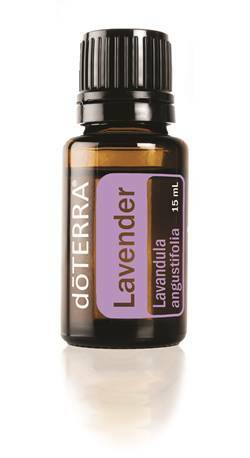 Amazing September Specials from doTERRA! This month doTERRA is offering six of its popular enrollment kits for 20% off! These kits are already discounted, and already include a beautiful book about oils and a year-long wholesale membership. Many of the kits come with bonus points to spend the next month. Diamond kit - This is the ‘all the things’ kit! Enjoy everything doTERRA has to offer and get a $500 private session with me. (Details below.) Normally $2,650, now $2,120. That’s over $500 off! Every Oil kit - This is what is says it is! It’s every oil doTERRA offers and every blend, plus a diffuser. What a dream! It’s a huge bargain for quality and array of exotic oils. Plus you get an hour private session with me! Normally $1825, now $1460. Natural Solutions kit (top seller) - Normally $550, now $440. You get a LOT of fun stuff to try throughout your house with this kit. A non-toxic home makeover! It’s very popular. Home Essentials kit (top seller) - This is the most popular kit! Normally $275, now $220. The top ten oils plus a diffuser. Cleanse and Restore kit - Normally $254, now $196. A collection of supplements and oils to detoxify your body. Emotional Aromatherapy Diffused kit - Normally $195, now $156. Unique blends of calming and uplifting oils plus a diffuser! *Available in U.S. and Canada and limited participating international markets. To see if your market is participating, please contact Member Services in your market at (800)-411-8151. Click here to enroll and save! If you’ve been putting off joining doTERRA, it’s time to get off the fence, girl! Don’t miss the boat! I have only 10 bonus kits available so buy today before you forget!